MANI RATNAM - KARTHI PROJECT ALL SET TO BEGIN! 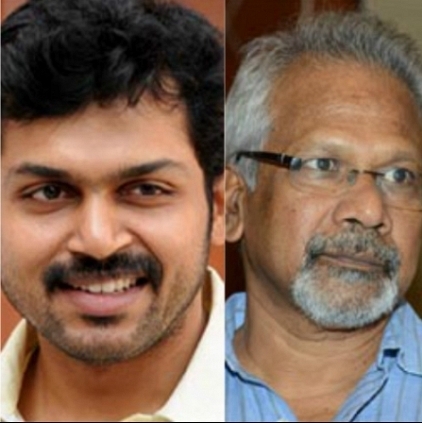 Looks like ace director Mani Ratnam’s next film with Karthi and Aditi Rao Hydari, will be kick-starting in a few days. It is reported that the team has planned to start the shoot around July 15th in the locales of Ooty. It is also rumored that the team will start with a song shoot, followed by the important scenes of the film. We know that Mani Ratnam is a master in shooting the visuals in the most artistic manner. Stay tuned to get more updates about this film. AR Rahman on board for Sundar C’s brobdingnagian project! Treat for Malare fans yet again! Atharvaa To Team Up With Director Mani Ratnam? People looking for online information on Karthi, Mani Ratnam will find this news story useful.